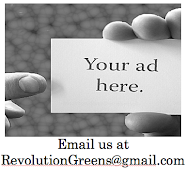 Revolution Greens: How Far Can Your Body Go? -Greg's Miami Man Half Iron Official Time - 5:46:44, 1.2m swim in 38 min, 56m bike in 2hr:53min and 13.1m run in 2hr:11min. -Stacy's International Miami Man Official Time - 3:09:49, .6m swim in 24 min, 24.5m bike in 2hr:27min, 6.6m run in 1hr:10min. A really notable record ! Keep it up Greg and Stacy. Thanks! We'll try! Next mountain is the ING Miami Marathon in January! We'll keep you all posted!